This undated photo provided by the Uvalde County jail in the Uvalde County Texas shows Jack Young. Young is accused of causing a traffic collision that killed 13 people in a minibus returning from a church retreat in March 2017. 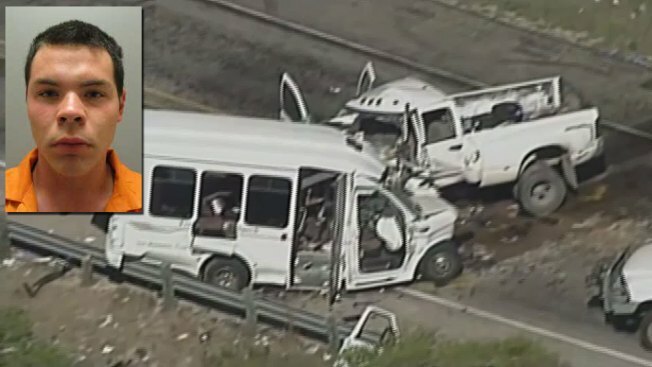 A driver was sentenced to 55 years in prison Friday for causing a church bus crash in South Texas that killed 13 people. Young was driving his pickup after smoking marijuana and taking the prescription drug clonazepam, a sedative used to treat panic disorders and seizures, when he collided with the church bus on U.S 83 near Uvalde, about 75 miles (120 kilometers) west of San Antonio, according to testimony. He pleaded no contest in May to 13 counts of intoxication manslaughter and one count of intoxication assault. Defense attorney Rogelio Munoz asked for mercy and said doctors didn't properly monitor Young's prescription drug use. Young's family members testified that the family was rendered dysfunctional by alcohol and drug abuse. Young told state District Judge Camile DuBose that a man was sentenced to a lengthy prison term for sexually abusing him and numerous other boys. Young testified that he had struggled since that episode with mental and emotional trauma, contemplating suicide and taking prescription anti-anxiety medication as well as self-medicating with marijuana and alcohol. 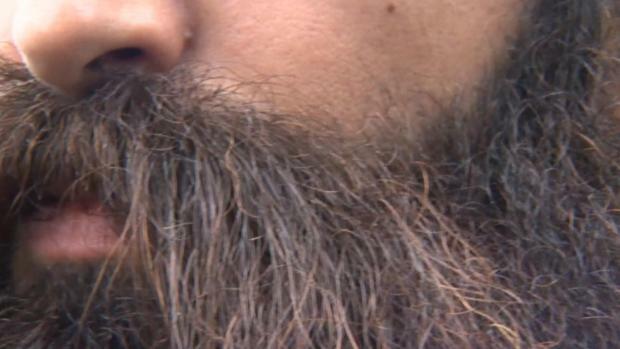 "You can never get the feeling of dirtiness off of you," he said. The occupants of the bus into which Young's pickup truck slammed head-on were members of the First Baptist Church of New Braunfels returning from a senior retreat. Young told relatives of those killed that he wished he could ease their pain. "They were beautiful people, beautiful families, and I wish every day that it was me" who died, he said.